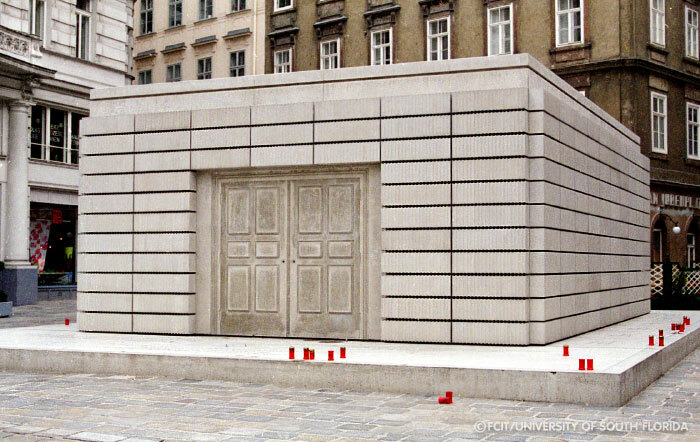 Rachel Whiteread's Memorial to the Victims of the Holocaust at Judenplatz in Vienna. The memorial is designed as a library turned inside out. College of Education, University of South Florida © 1997-2013.